Pattaya | An American tourist was almost killed this morning by local fishermen who mistook him for a bull shark. Mr. McKensie says his friend rapidly emerged from the water, screaming from pain, but he had already been hit by several harpoons. The fishermen finally understood that Mr. Smith wasn’t a shark and they rapidly carried him to the shore and called for help. The young man was transported to six hours he Pattaya International Hospital, where doctors finally able to stabilize him after six hours of intensive care. 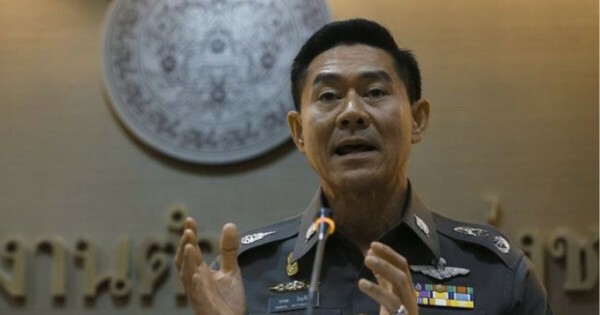 Thai national police chief Somyot Poompanmoung said he was “very happy” to hear that the victim had survived. 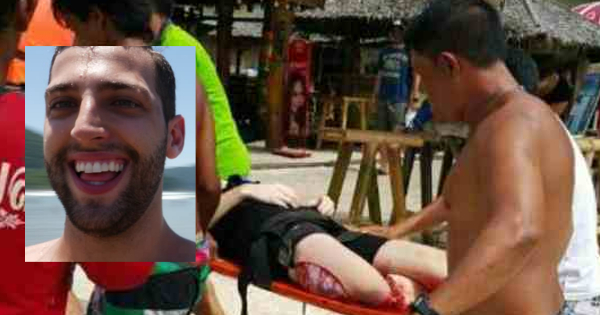 He declared that the fishermen who injured the young American man acted to defend the swimmers and no charges will be filed against them. Fake shark fins have been popular items among pranksters for more than twenty years, and have caused several unfortunate incidents. In 2009, two women were severely injured in Australia after being trampled by a group of swimmers running away from a man with a fin. In 1996, a man was hit by 16 bullets and killed in Florida after approaching a private beach while wearing a fake shark fin. Despite numerous accidents and warnings from authorities, many thrill seekers continue to buy and wear these items to try and scare their friends and family. 3 Comments on "Thailand: Tourist wearing fake shark fin harpooned 9 times by villagers"
Actually we should be condemning the killers who shoot before thinking. Firstly they didnt kill anyone. And even if they did, blame the prankster.